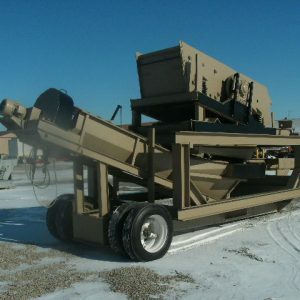 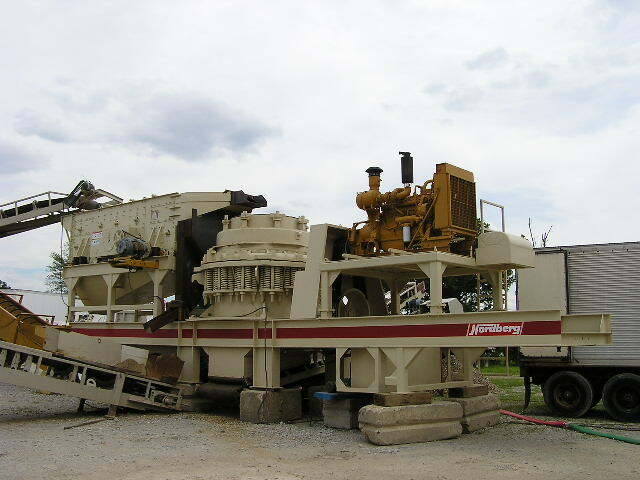 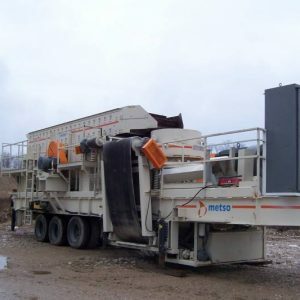 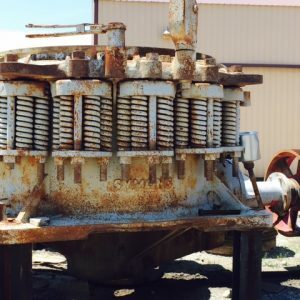 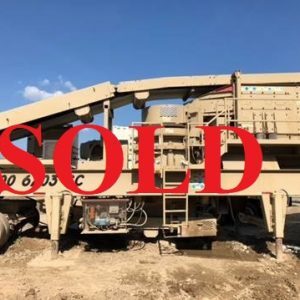 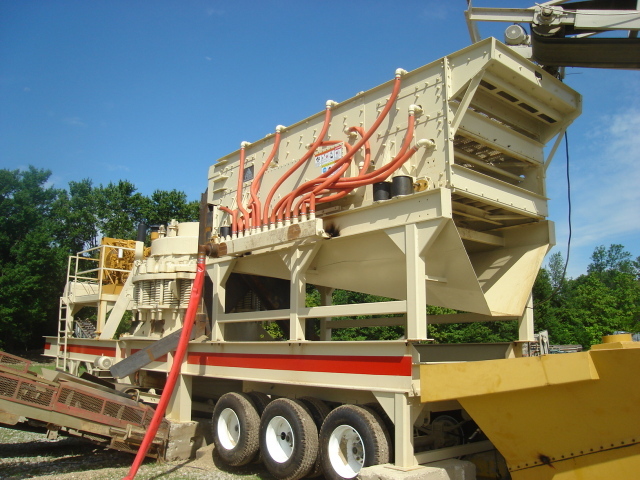 Symons/Nordberg 5-1/2′ cone crusher w/ new 6′ x 16′ (3d) horizontal screen w/ spray bar system, 44″ x 32′ fine material washer, CAT 3406 diesel power unit, under crusher side discharge conveyor, opposite side discharge chutes, underscreen rear discharge flume, and electric motors. 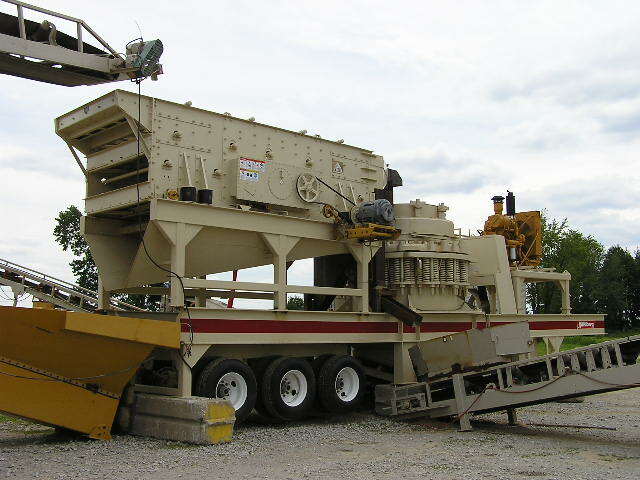 All mounted on a heavy-duty tri-axle chassis w/ fixed blocking stands and fifth wheel pin for transport. 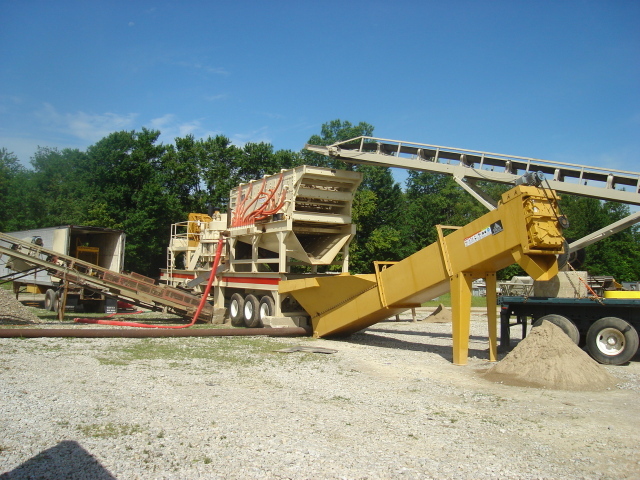 Plant has high tons per hour capabilities for 1″ – 0 material.